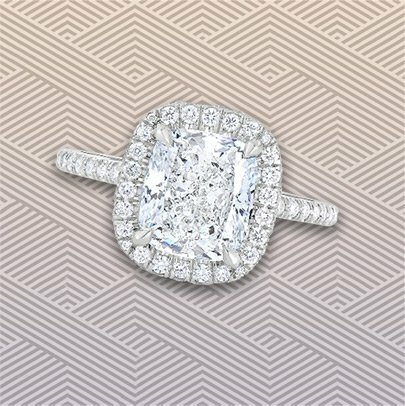 Three stone platinum engagement ring setting featuring trillion cut side-stones; for emerald cut or rectangular shaped radiant cut center. From the second I walked into Lauren B and met Tony I knew I was in the right place. I felt like I had a true partner who was as invested in finding the right ring as I was. At no point did I feel like Tony was someone trying to simply make a sale.